...I'm very happy with. 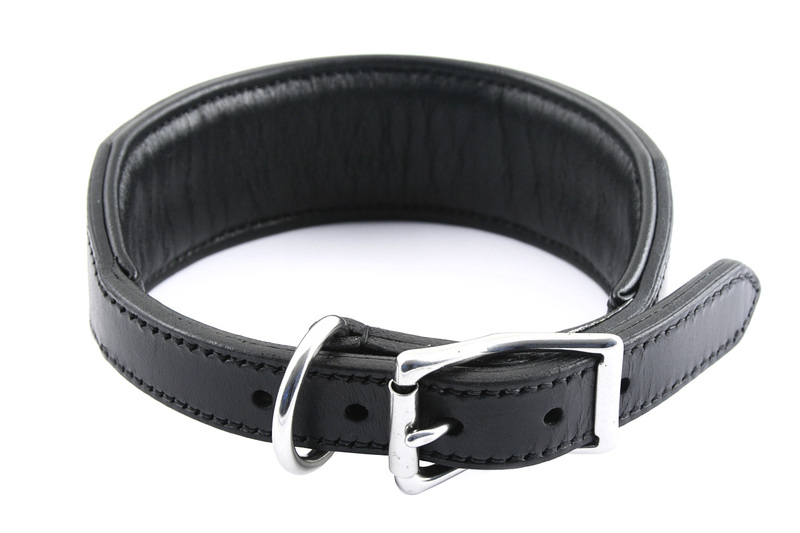 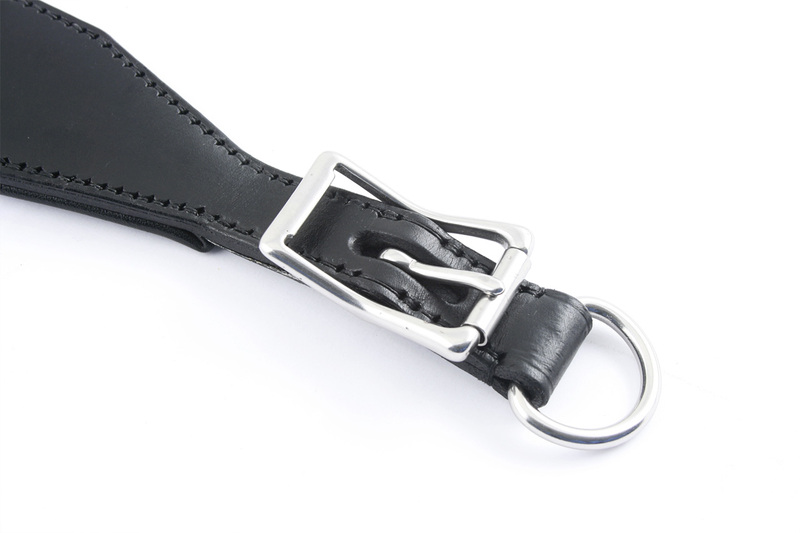 Sedgwick leather, 1" hardware, neoprene filled padding made with seat leather. 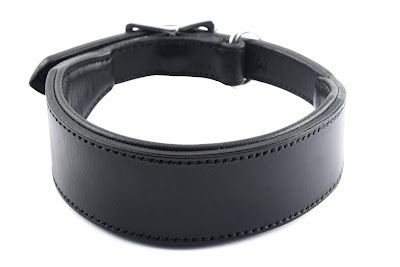 A detail of its buckle and dee: a clever idea provided by the owner, for avoiding direct contact with the dog.